About 50 students and administrators gathered in Kogan Plaza Monday evening to grieve and process two terrorist attacks that occurred at New Zealand mosques last week. 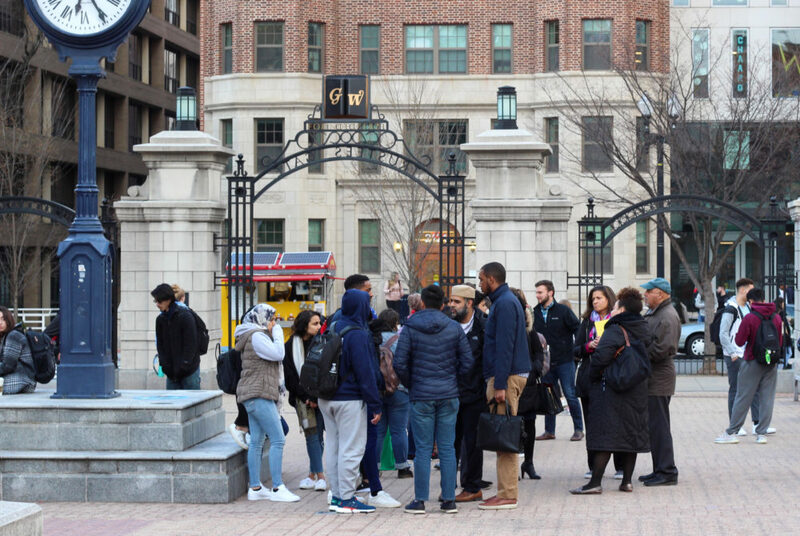 About 50 students and administrators gathered in Kogan Plaza Monday to grieve and heal following a mass shooting at two New Zealand mosques last week. The vigil, which included a moment of silence and prayer, was organized by the Muslim Students’ Association to allow the campus community to reflect and process the attack. Several high-level officials attended the event, including University President Thomas LeBlanc; Caroline Laguerre-Brown, the vice provost for diversity, equity and community engagement; and Michael Tapscott, the director of the Multicultural Student Services Center. The event followed two terrorist attacks at the Al Noor and Linwood mosques in Christchurch, New Zealand Friday. The gunman, who released a white supremacist manifesto ahead of the massacre, killed 50 worshippers and injured dozens of others, BBC reported. Allahrakha added that he reached out to students who were on campus Friday, and he encouraged the Muslim community to join him for a prayer session following the vigil. Freshman Abeer Siddiqui attended the vigil and said the past few days have been “especially devastating” because she had a family friend who was killed in the attack. She said it was “scary” to see the heightened security at her mosque Friday. Siddiqui added that she has been afraid to wear a hijab in public recently, and her parents have advised her to wait and enter a mosque before putting it on. She said members of the GW community should reach out to and support their Muslim colleagues and peers. “Let your Muslim brothers and sisters know that they are a part of your community, they’re not some separate community that you need to be afraid of,” she said. Junior Maryam Alhassani echoed Siddiqui’s comments, adding that she felt the Muslim community on campus has been isolated and forced to rely on themselves for support. Although LeBlanc, the University president, spoke with some students at the end of the event, Alhassani said it was “disappointing” that he didn’t take more time to talk with attendees. She said the University should work with students to better recognize the Muslim community on campus. LeBlanc, through a University spokeswoman, did not immediately return a request for comment. He released a statement Monday condemning Islamophobia and offering condolences for those affected by the attack.